The season ticket: a phenomenon that has not been applied to the theatrical world. A ticket to see all the matches at a given stadium. 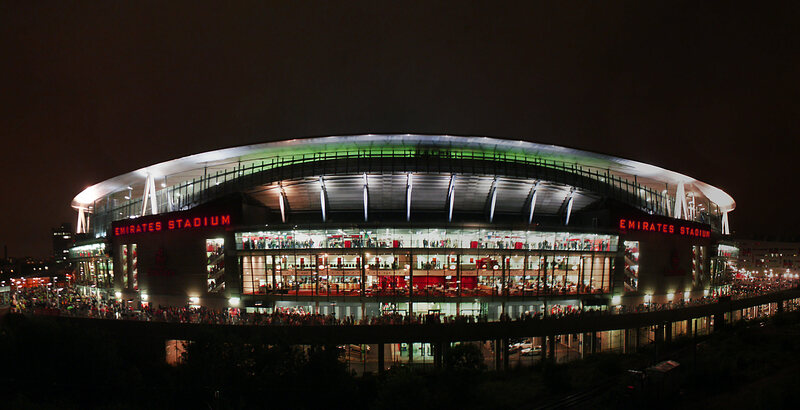 At Arsenal, the most expensive season ticket in the world, this means all 19 home games in the Premier League plus up to seven FA Cup and Champions League games – in the event of a long cup run, extra charges apply. Season tickets cost between £1,014 and £2,013 – equating to between £39 and £77 per match (assuming 26 matches). This places attending an Arsenal home match in broadly the same price category as attending a West End show. Why do season tickets work in football – and why do they not work in theatre? 1) because fans of a football club enjoy experiencing the whole season. There is an old footballing cliche that while ‘big matches’ such as Man Utd vs Liverpool may be more high profile, the league is won or lost on a wet Monday night in Burnley. To really understand your team’s season, you need to have seen most, if not all, of the home games (and away games if you have money and time on your hands and no job or family). To consider yourself a fan, you need to see all the games. Because being a football fan is a two-way relationship: your support can be instrumental in the team being successful. While you might need to see all your team’s games to appreciate the season, the same does not apply in theatre. 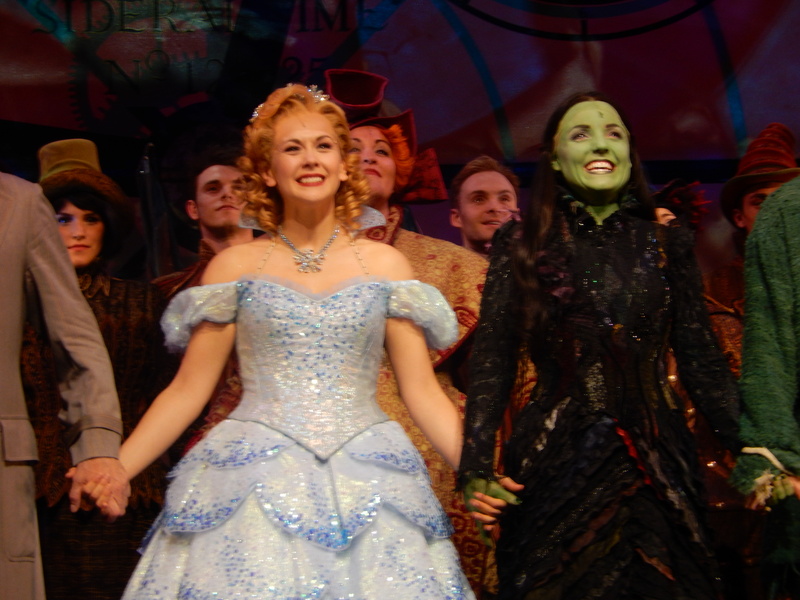 You don’t need to have seen Thriller Live in order to appreciate Wicked. Seeing Robert Lindsay’s soft shoe shuffle in Dirty Rotten Scoundrels is a thing of pleasure, but it does not allow you to appreciate the book of Wolf Hall on any different level. The notion of fandom does not apply in quite the same way, either. Cheering on your team might make the small difference that allows them to eek out a win. Is your support going to make a West End performance better? Probably not, although there is a repeat-fan-type out there, as evidenced on the first night of Kerry Ellis’ return to Wicked recently, when applause and cheering greeted her very walking on to the stage in the same way that Dennis Bergkamp’s introduction as a substitute would have elicited a cheer at Highbury. 2) the ability to get tickets at all. At some clubs, notably Arsenal, Liverpool and Chelsea, getting tickets for high-profile matches is nigh-on impossible. For the North London derby or for Liverpool v Man Utd, tickets are like gold dust. The best way of getting a ticket for those games is by being a season ticket holder. By having a ticket for all games, you have, by definition, got a ticket for the best games. 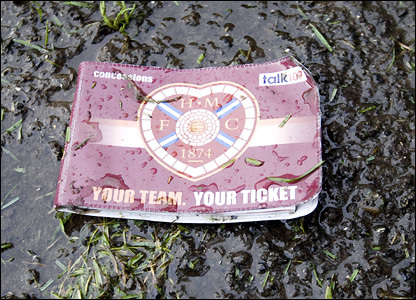 But you also need a ticket for the less glamorous fixtures. In order to get a ticket for Arsenal v Tottenham on a Saturday afternoon in September, you will also need to pay for Arsenal v Sunderland on a freezing Monday evening in January. The notion that, in order to get a ticket to Book of Mormon, or Hamlet with Benedict Cumberbatch, I need to buy tickets for The Pajama Game, Jersey Boys and Evita has never taken hold in the West End. 3) Discount: there is a small discount in a season ticket for a football club. The discount is not all that substantial for most clubs, but it is a discount nonetheless. This argument might be the most persuasive for the West End – see all the shows, including some you are less excited about but save money… Could this be the hook for the season ticket concept? Season tickets for the West End do not exist. This is is in part due to the fact that there is no over-arching promoter of West End theatre. The venues are owned by a variety of landlords and the tenant productions comprise a variety of producers. There is no single (commercial ) body in whose interest it is in to sell tickets to every production. The Society of London Theatre is an industry body, but is not the ‘owner’ of the whole West End in the same way that Arsenal FC ‘owns’ its 26 home fixtures. There are groupings, of course: Really Useful Group, Delfont Mackintosh, Nimax and ATG all own multiple West End theatres. Likewise, Cameron Mackintosh, Andrew Lloyd Webber, ATG, Bill Kenwright and others all produce multiple shows. But none of these offers a ‘season pass’ to a raft of productions. Without an over-arching promoter, it is difficult to see how such a 40 show season ticket would be made available – on a voluntary basis – because it is difficult to see the advantage for the really successful shows. Does Book of Mormon need a contrived pact with other shows in order to fill its house? No. But without juggernaut musicals like Mormon and Wicked taking part (who would not need to) or sold-out-the-minute-they-go-on-sale-plays, like Hamlet with Cumberbatch or anything at the Donmar Warehouse (who could not take part as they would not have enough tickets), you would be left with a basket of shows that would be difficult to sell. The discount would have to be so great that the producers would prefer to leave it to online discounters or TKTS (as they currently do). And anyway, how many people would really buy 40 tickets to see every show? While there are people who enjoy almost all theatre and will give most things a try, are there enough of them for season tickets to work? Probably not. Someone who would like King Charles III and Speed the Plow probably would not want to see Let It Be and The Bodyguard. How valid is the comparison anyway? How much overlap is there between sport and theatre anyway? More than you might think: On twitter last week, I noticed Paul Clarkson, Olivier Award winning actor, who is playing the Wizard in Wicked tweeting about the cricket at 7:55pm and I asked him if he shouldn’t be on stage – his call isn’t until 815, he replied, so he watches the cricket until then. The 8:30pm kick-offs in the World Cup were a source of frustration to him. And BBC Arts Editor Will Gompertz is a regular visitor to the Emirates and sits close to my seat. One entertainment venue where the concept has been applied, however, is the Royal Albert Hall, where debenture tickets were sold in order to raise capital to fund construction. Not just a season ticket, but a ticket in perpetuity: a concept we shall explore another time. And season tickets outside the West End do exist. The Manchester Royal Exchange, offers one, for example. But the Exchange gets round the West End’s problem – it is a single venue and a producing house, so is conceptually the same as a football club. But maybe we are simply post-rationalising why it wouldn’t work just because it hasn’t been tried in the West End. Maybe it would work. See 40 shows for £1,200. A decent ticket for each show in the West End. See a show every Wednesday evening for the next 40 weeks. If there isn’t a good reason why this hasn’t taken off before, then maybe someone will try it. If this happens, remember: you heard it here first. Health warning: don’t try to offer the football fans to swap their season ticket for 40 West End musical Saturday matinee tickets at five to three on Saturday before the first game. Or a Tottenham season ticket to the Kerry Ellis fans in town for a double dose of Elphaba on a matinee-and-evening trip to London. There would be no winners in either case. This entry was posted in musicals, Theatre and tagged arsenal, book of mormon, Chelsea, Dennis Bergkamp, Dirty Rotten Scoundrels, elphaba, emirates, kerry ellis, King Charles III, Let It Be, Liverpool, Man Utd, paul clarkson, Robert Lindsay, Royal Albert Hall, season ticket, season tickets, Speed The Plow, theatre, Thriller Live, Tottenham, West End, wicked, Will Gompertz, Wolf Hall by showbusinessinsights. Bookmark the permalink.